Let’s face it, life is tough. Some days, weeks, months and even years can be hard to get through, due to one difficulty or another. It can wear you down, affecting many areas of your life. What about other people? I see many suffering under heavy burdens. In fact, there isn’t anyone I know who couldn’t use encouragement in one form or another. But how do we do this when we ourselves are suffering and going through so much? Isn’t it too much for God to ask of us? No it isn’t. As believers we are to be the hands and feet of Jesus. It was when those hands and feet were nailed to a cross that Jesus, even then, reached out to others; to give aid. who are of the household of faith. He saw His mother in agony as she watched Him; hanging there crucified. He knew she would need comfort and help after He was gone; so He placed her in John’s care, to provide for her. He heard and knew the change of heart in the thief dying next to Him. He reached out with a promise that yes, the thief would join Him that day in paradise. He was even thinking of the people who were involved in crucifying Him, when he asked the Father to forgive them. If Jesus could reach out in love and concern for others during His horrific ordeal, then I don’t think that leaves us any viable excuse. As believers, we are the whole body of Christ. When one part suffers, the whole body reacts. Or should. 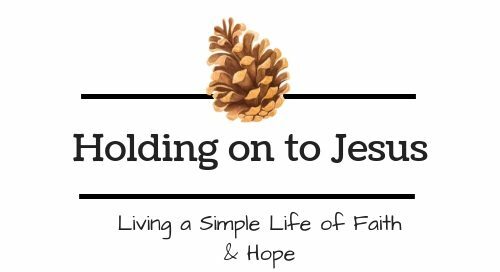 We need to reach out like Jesus did; in spite of what is going on in our own lives. Think of when you stub your big toe. Hard. Your leg jerks back, your toes stiffen and your foot freezes. Your back muscles tense up, your hands squeeze into fists. Your neck tightens, you hold your breath, your jaw clenches. Your brain receives the signal and responds with pain. Your mouth opens in a silent (or not so silent) cry. All this reaction for one small action of pain. This is how the church should be. But now indeed there are many members, yet one body. And the eye cannot say to the hand, “I have no need of you”; nor again the head to the feet, “I have no need of you.” No, much rather, those members of the body which seem to be weaker are necessary. That there should be no schism in the body, but that the members should have the same care for one another. And if one member suffers, all the members suffer with it; or if one member is honored, all the members rejoice with it. Pray. This should be our first response when we see or hear about a need. But at this point in time, the body of Christ, has for the most part, lost its zeal for prayer. The main reason seems to be that we don’t want to sacrifice of our time. But when people know you will pray for them, their burden becomes shared. When they hear you pray with them, they are lifted up. Smile. This requires lowering your phone and raising your head to look around you; to make eye contact. Sorry, I couldn’t resist that one. Normally when you smile at someone; they smile back. It’s natural. It brightens people’s day. Such a simple thing, that gives huge pleasure. Use your words. Words of encouragement can be a life saver. Look at their efforts thus far and compliment them. Help them focus on the positive side. Share a verse that has helped you. Don’t preach. Only give suggestions if asked. Give them something. A card, treat, or a hug. Giving something of yourself says a lot. Give of your time if it suits the need. Write an encouraging verse or saying and give it to them to read later. Use social media as an outreach. Look at what you are reading. God led me to start a blog as a way to reach out to people. If you’re reading this, then it’s working. On Facebook, I am always passing on pertinent articles; fun, encouraging posts, pictures and videos. Facebook reaches across the globe, so the possibility of you encouraging someone is endless. Listen. Sometimes all someone needs is to talk; to vent, to vocalize their frustration or anguish. Be willing to be that person. just as you were called in one hope of your calling. Think of what encourages you. How would you like people to help you or treat you? What lifts you up? Most of the time it is a simple thing. Remind yourself how much it helped you. Ask God to impress you with what to do for whomever needs it. Be the hands and feet of Jesus, in spite of how you are struggling. Believe me, by doing so, you will help lift yourself up. Helping to encourage others is a blessing for ourselves also, as it gets our minds off of our own situation. by the mutual faith; both of you and me. Previous When We Sin, What’s Next? What an inspiring message! Amen. Have a blessed day! I shared this on Pinterest and my Facebook page. This is such a good post. Practical tips that we can practice daily whether already suffering or not. The sentence you wrote “If Jesus could reach out in love and concern for others during His horrific ordeal, then I don’t think that leaves us any viable excuse.” That is powerful! Thank you for your comment. Yes, I agree that it is powerful. It hit me as I was writing this. Too many of us make excuses for not encouraging others.